BRAND NEW!!! 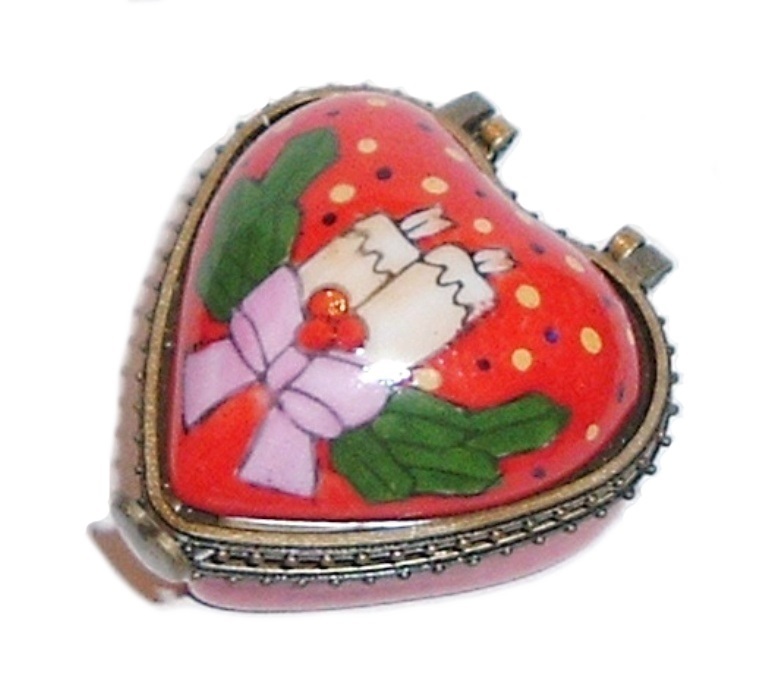 CHRISTMAS Holiday Candle Heart Hinged Trinket Box Collectible Little heart shaped hinged trinket box has a lovely holiday design of two candles and a holiday bow! It measures about 1 3/4 inches x 1 1/2 inches. Does not come boxed. THANKS FOR HANGIN OUT! RETURN POLICY: Apologies, returns NOT ACCEPTED. Thank you. DOMESTIC SHIPPING: 6.95 Priority Mail (4 to 5 business days) COMBINED SHIPPING: Combined shipping discounts are deducted automatically. You may also take advantage of the BEST OFFER listings and make an offer. Thank you. Sales tax to CA residents applicable.